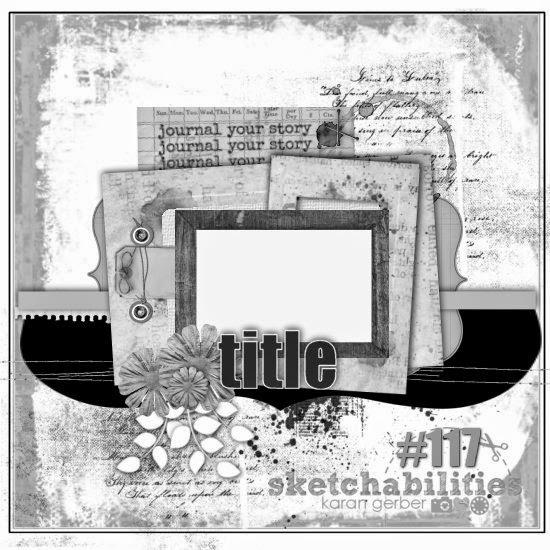 It's been a while since I had time to scrapbook and as usual, it was a lovely sketchabilities design that got me going again, even if it was a quick and easy lay-out. 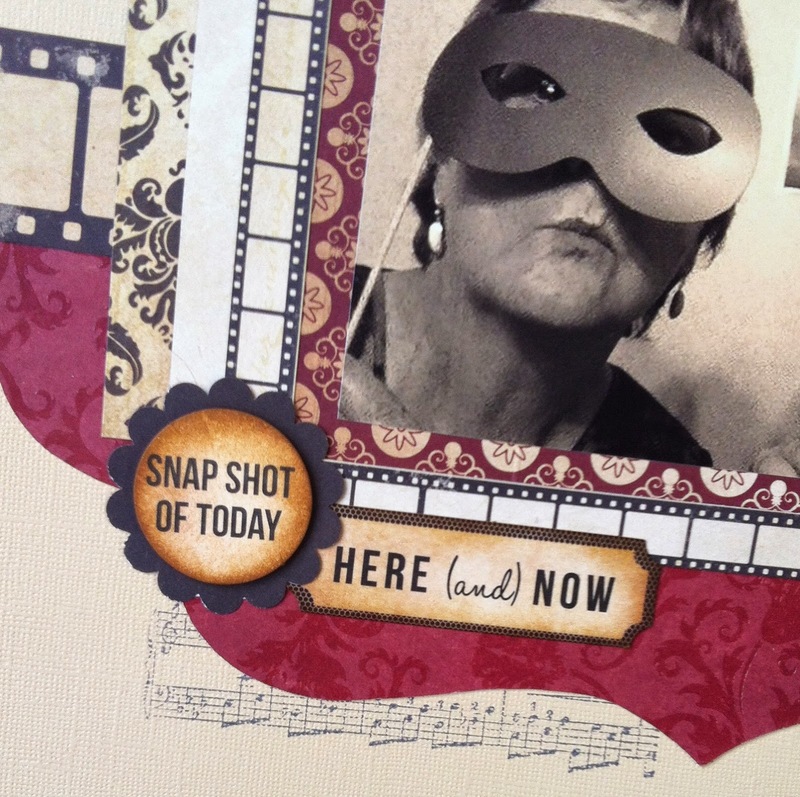 I'm happy with the colours used and the dramatic arts theme in the embellishments. 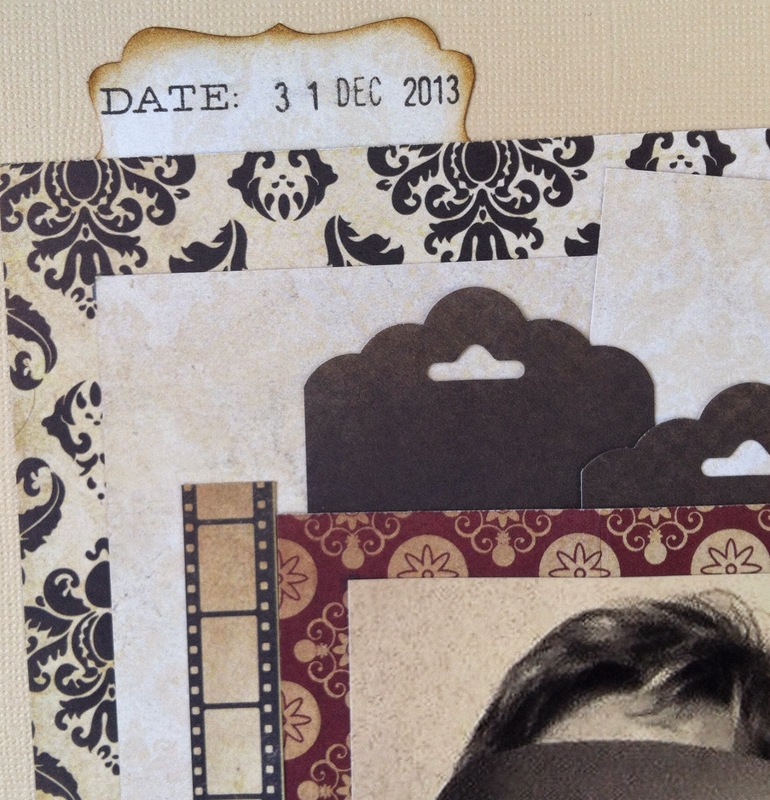 The photo is from a fool around photo booth on New Year's Eve last year. 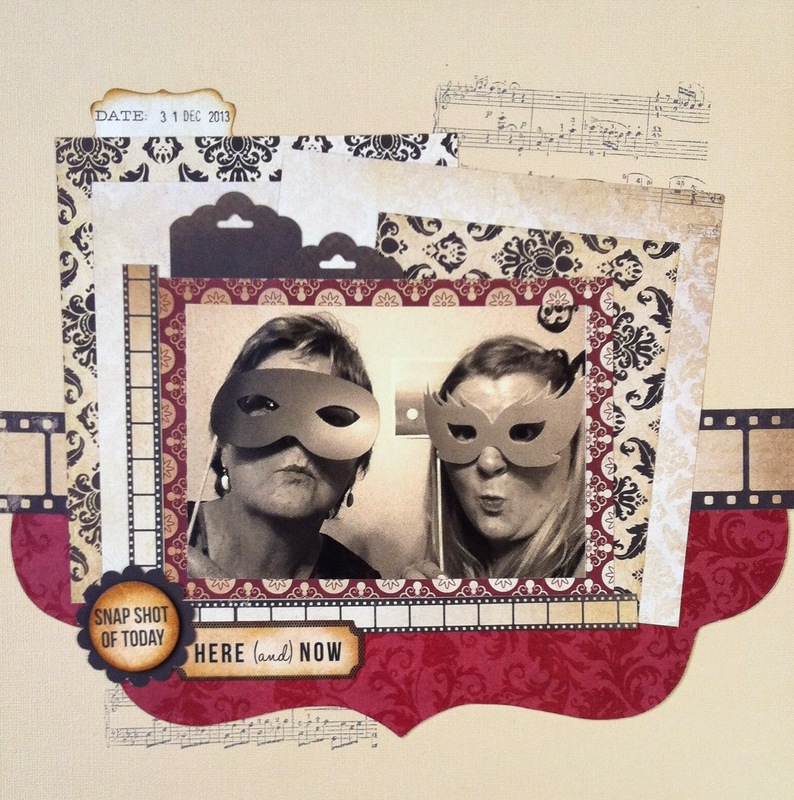 Inks and Stamps: Tim Holtz distress ink Black and Brushed Corduroy, SU Take Note rotary stamper, Penny Black Music background stamp. Other: dimensionals, Collectibles from Kaisercraft Life is Art collection. WOWOWOW I love this page and great pic !!! thanks for playing at sketchabilities !